ElBaradei’s term ends November 30 provides a once-a-decade opportunity to overcome bureaucratic inertia, modernize Agency operations, and position the new director general for strong leadership from the DG’s office. In a later cable in October, the US mission in Vienna goes as far as describing Amano as “DG of all states, but in agreement with us”. More candidly, Amano noted the importance of maintaining a certain “constructive ambiguity” about his plans, at least until he took over for DG ElBaradei in December. With a bow to the G-77, Amano felt obliged to emphasize the importance of “balance” regarding the Agency’s work in peaceful uses of nuclear technology. For staff morale reasons, Amano planned to work on improving the quality of management while publicly praising the current standards and commending staff members for their dedication. ElBaradei; Amano sees the DG/IAEA as a neutral and impartial party to Iran’s safeguards agreement rather than as “an intermediary” and saw his primary role as implementing safeguards and UNSC[United Nations Security Council]/Board resolutions. He stressed that the IAEA could not replace the P5 [+] 1 political framework for dialogue with Iran, nor vice versa. 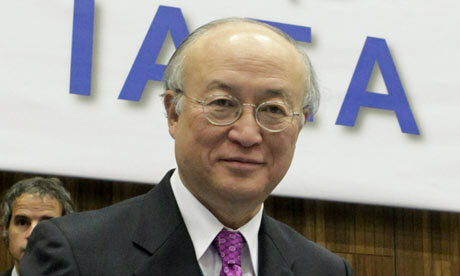 taking office, a renewal in some key positions will take time, as several senior IAEA officials recently received promotions or extensions of their contracts, or both. This “burrowing in” will ensure continuity of some experienced leaders but may also confront the next DG with fixed networks of collaboration that resist supervision. The other pressing question for the US mission during the transition was the fate of the deputy director generals, particularly Olli Heinonen, the head of the safeguards division – a widely-respected Finn who ran the inspections of Iran, Syria, North Korea and other nuclear rogue suspects, and who was consequently the second most (or perhaps the most) important person in the IAEA’s Vienna headquarters, from Washington’s point of view. He was due to retire in Summer 2010, causing some anxiety in the US delegation. The DDG/Safeguards position will remain essential under Amano’s leadership, however, as we expect the new DG to apply less of a political filter to the conduct of safeguards investigations. Thus, the decisions of the DG/Safeguards on Iran, Syria, and other sensitive cases may be the de facto final word for the Agency’s safeguards approach in the states about which the US cares the most. Did German Chancellor Angela Merkel Just Usher In The Deutsche Mark?